In the past I’ve been just a tad averse to cruising as a holiday option. However, there’s nothing like the temptation of being in the midst of a bunch of obsessive genealogists, including quite a few of my geneablogging mates. And so, never say never, I’ve signed up to participate in the 4th Unlock the Past cruise around the south of Australia in February 2014. We’ll be sailing from Sydney at 9pm so we should have a view something like this. And since I was breaking the rule of a lifetime, why not do it on the biggest cruise ship afloat in Australia, Voyager of the Seas! One of the rationales which also helped get me over the cruise-phobia was my family’s links to the sea. My Melvin family were merchant seamen for several generations and my great-grandfather, Stephen Gillespie Melvin was an early international traveller from Australia. 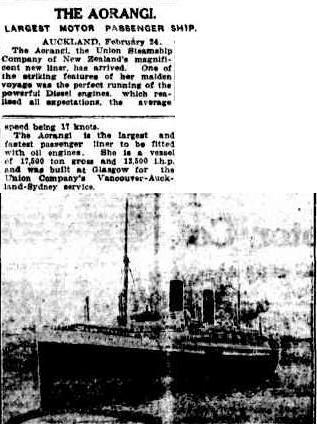 He travelled on the maiden voyage of the rather grand Aorangi in 1925. 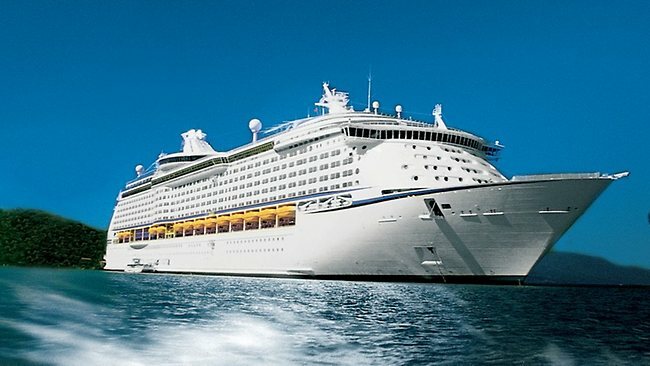 Voyager of the Seas looks extremely flash, so as well as all my genealogy learning and participating, I’ll complete my voyage understanding a little more about my ancestors’ maritime experiences. The Aorangi was also state of the art when she was launched. What fun we’ll have with such a great array of speakers to listen to. I’m especially looking forward to meeting and listening to Thomas MacEntee of Geneabloggers and Hack Genealogy fame: he seems such a character it will be fun to meet him in person (I hope he’ll be bringing some blogging beads, big hint Thomas!). I’ve also done Pharos classes with Chris Paton so that’s another great opportunity. Not to mention family history writing expert, Noeline Kyle. Also in the speaker line up are quite a few Aussie speakers who I know and have heard present elsewhere: Jill Ball, Shauna Hicks, Kerry Farmer, Helen Smith, German-genealogy guru Rosemary Kopittke, and my overseas mate Julie Goucher. I’m suspecting we might all be hoarse from nattering by the end of the voyage. Jan Gow from New Zealand is another person I want to meet as I believe she has a connection to my uncle’s family: not an ancestral link for me, but I have some photos which might be of interest to her. Not to mention all those presenters I’ve never had the chance of hearing in Darwin. How I’m going to fit in even one visit to the pool, day spa and ice rink I don’t know. Will I have the nerve to don some skates after decades off the ice? Wait until February and we’ll all see. I’ll be sailing solo as Mr Cassmob has decided to keep the house afloat –not literally I hope given it will be cyclone season – he reckons he wouldn’t get any attention in the midst of all the genie chatter…he’s probably right. The icing on the cake is that I will be an official blogger on the cruise so you can expect to read regular posts from this voyaging novice. Thanks Alan from Unlock the Past and Gould Genealogy for this great opportunity. There are still some cabins available so if, like me, you’ve left your run rather late, why not give it some thought. Come sailing and conferencing with us. 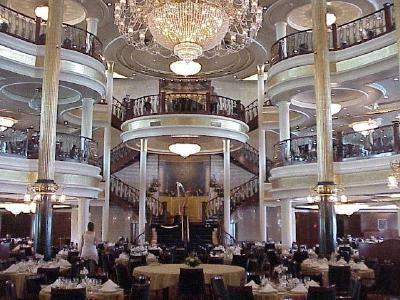 This entry was posted in Family History and tagged Geneacruising, Unlock the Past cruise, Voyager of the Seas by cassmob. Bookmark the permalink. Fabulous. I’m so glad you’ve decided to join us. It’s going to be one big long genealogy party. I think so Alona, and I’m quite excited now I’ve overcome my ambivalence. I’ll look forward to meeting you too! I’m going with my mum – we’re both leaving husbands behind! I must admit to feeling a tad envious – not only of the ship but also the prospect of a genealogical themed cruise. It sounds wonderful and I look forward to reading all about it. Enjoy yourself! We must have beads and bling – so pleased you’ll be joining the party. Brilliant and congrats Pauleen!! !… am so looking forward to reading your blog posts. Wonderful! I have a feeling you’ll love it all. Must admit to being envious, but, like Catherine, I’ll enjoy the posts from you and the other bloggers. It’ll cheer up February, a dreich and dreary month over here. I’m glad I can oblige by cheering up what is likely to be a chilly February for you 🙂 I love the word dreich, which I know but then forget…should file it for more use. … and time for the rock climbing too Pauleen! But delighted you can come. Voyager arrived in Sydney yesterday to commence its 2013/14 season downunder. So the countdown is really on now. Thanks Alan! I think I’ll give the rock climbing a miss 😉 Yes I saw the photos in Sydney and apparently in Brisbane it was too big for the cruise terminal and had to anchor at Fisherman’s Island, very déclassé. 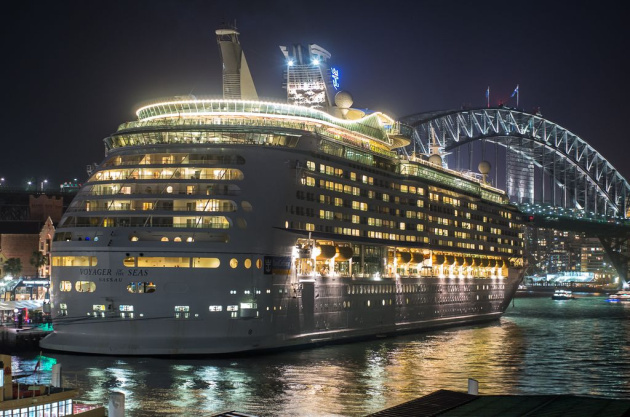 I steamed past Voyager of the Seas last night (I was on a ferry) and she is absolutely huge. Hope you have a great time. Thanks Rose, I suspect there will be an OMG reaction when I see its sheer size. Poor little ferry probably felt a bit intimidated. Look forward to seeing you on the cruise! It will be great to meet you Maria and to learn how you put those great podcasts together. Fun all round! Looks and sounds like you will have a wonderful time. Looking forward to your posts on it. Now what will i be doing in February? I’m guessing you’ll be longing for Spring by then 🙂 Wouldn’t it be wonderful to be able to jump on a plane and come with us all ….we’d have such fun. In Australia we’d call that Lotto Dreaming. Good for you, Pauleen. I’m starting to wish that I was going too. I think it’s a case of peer pressure, or peer envy Judy but there’s a finite number of things we can do, in terms of time and money. At least you’ve been on others, this will be my maiden voyage.